Our range of products include v groove cast iron wheels, cast iron wheels, cast iron rollers and heavy duty cast iron rollers. 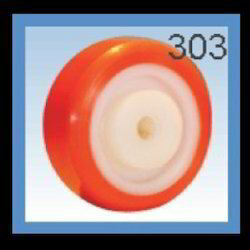 Available in various load capacity, these Imperial core shaped wheels are made by latest technology and methodology. 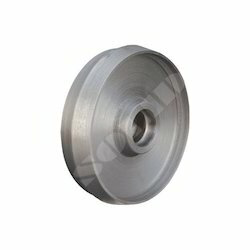 Customers can also avail customization of these wheels according to their specific needs. Cast Iron Wheels are Resistant to High Temperature with low rolling resistance. Can be used in high temperature furnaces. Recommended for medium loads. Not good against acids and chlorinated solvent. Having high load carrying capacity, abrasion resistance, maintenance free. Resistance against oil and high temperature. Our company is manufacturing superb quality range of Heavy Duty Cast Iron Rollers (Series 104 - Cast Iron Pallet Rollers). They are suitably fit for different surface conditions and go not get rusted for a long time. 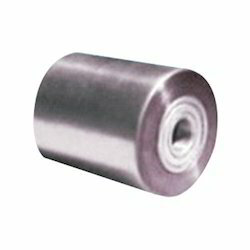 Our rollers are widely accepted for their high quality material and light weight. They are available in various sizes, shapes as well as designs. We are offering Cast Iron Rollers (Series 104 - Cast Iron Pallet Rollers) with various high ending features at a very lower cost. We are indulged in providing specialized Cast Iron Rollers. Fabricated from highest quality raw materials, these rollers are provided with performance oriented cast iron. Used in various industries in numerous applications on rough concrete, wood block and littered floors, these rollers are renowned for extreme wearing and shock resistance. 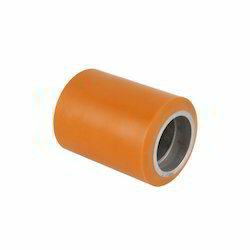 We provide these rollers in many colors to choose, shapes and sizes with very affordable price.